Is your van giving you trouble? 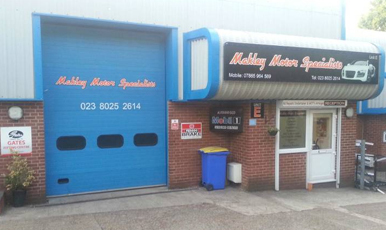 For efficient van service and repairs in and around Eastleigh, get in touch with Makley Motor Specialists. Our technicians have many years of experience tackling all kinds of repairs and maintenance of vans. Among our other services, we provide a full injector maintenance service, that has to be carried out every 40,000 miles. We also do fuel injection cleaning services. You can also depend on us for car service and repairs, MOT preparation, as well as for servicing of tyres and brakes and exhausts. When you choose Makley Motor Specialists for van repairs, our highly trained and experienced engineers will ensure that your vehicle gets top quality care. We also use high-quality spare parts and oil, so that your vehicle will last longer. You can take advantage of our van maintenance and repair if you’re in Eastleigh, Southampton, Winchester or Portsmouth. When you need professional care for your van, you can depend on Makley Motor Specialists.